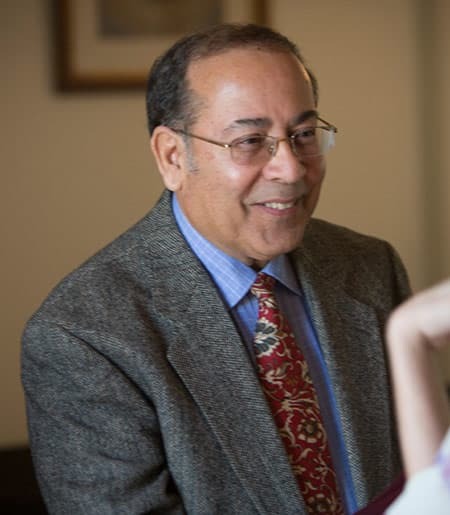 Professor Velez is an alumnus of Cornell (Ph.D. '83) and has been an adjunct faculty member since 1977 in the Department of Sociology. He teaches a course on Hispanic Americans and also teaches courses related to race and ethnicity and mass media at Ithaca College, where he is a tenured Associate Professor of Sociology. He has worked as a consultant to the Dominican Republic, has traveled to Cuba, investigating the effects of "Radio Marti", and was an official observer in the Paraguayan elections in 1994. He is one of the founding members of the Latino Studies Program at Cornell, on the Board of Directors of the L.S.P.S., and has served as Acting Director of the program. In addition, he is a Visiting Associate Professor of Hispanic American Studies.